In a case of fortuitous timing, Criterion is releasing Errol Morris’ first three features—Gates Of Heaven (1978) and Vernon, Florida (1981) together on one disc, The Thin Blue Line (1988) on another—immediately after HBO’s documentary miniseries The Jinx unexpectedly became a cultural phenomenon. Director Andrew Jarecki and his cinematographer, Marc Smerling, have acknowledged that Thin Blue Line was a major influence on The Jinx, particularly in its use of impressionistic reenactments that metamorphose as the story being told changes or acquires new details. Respectful and proper though such hat-tips are, they’re essentially redundant, as it’s hard to find a contemporary doc involving interviews that isn’t influenced by Morris to some degree. His unique approach revolutionized non-fiction filmmaking, and its evolution over the course of these early efforts—still among his finest work—is fascinating to watch. Gates Of Heaven looked so alien at the time of its initial release that Douglas Sirk, according to an interview with Morris included among the supplements, walked out halfway through, telling Morris that he’d made a slide show, not a movie. At a time when handheld vérité was all the rage, Morris opted to lock his camera down on a tripod and film his interview subjects portrait-style, usually seated and looking almost directly at the camera. (Eventually, he’d invent a camera setup called the Interrotron that lets him talk to people face-to-face through the lens; it wasn’t used in any of these films, though.) In itself, this wasn’t unprecedented, but combining it with vérité’s absence of narration or contextualization was. At once off the cuff and heavily aestheticized, Gates Of Heaven looks like nothing that had ever been made. More radical still was the film’s sensibility. Ostensibly, it’s about a couple of California pet cemeteries. Morris talks extensively with the founder of one of them, the family that runs the other, and various folks who’ve chosen to provide departed dogs and cats with a lasting monument. And he’s clearly fascinated by the subject he’s chosen. But he’s fascinated by everything else, too. One employee at the Bubbling Well Pet Memorial Park (which still exists, nearly 40 years later) would much rather discuss his aspirations to be a songwriter, and Morris is happy to listen. When a little old lady stops short mid-sentence after being startled by the sound of screeching tires, (“That was a car, huh?”) he doesn’t cut around the interruption. A newspaper story about buried pets being dug up and relocated what was grabbed his attention; once he arrived, though, it was the people themselves, in all their low-key eccentricity, that caught his fancy. That’s even more true of Vernon, Florida, a short feature (running just shy of an hour) that bears almost no resemblance to the movie Morris had set out to make. Vernon is a tiny town—its population was less than 800 as recently as 2004—that made a macabre name for itself in the ’50s and ’60s as the home of an insurance scam in which residents deliberately cut off limbs in order to score big payouts. Nobody would talk to Morris on-camera about this, for obvious reasons, but it turned out not to matter. The footage he got instead is just as arresting: a turkey hunter describing his most prized kills; a bored cop sitting alone in his patrol car (minus his radar gun, which is being serviced) lamenting the absence of serious crime; an old coot (there’s really no other term) who casually reaches into a cage and pulls out a live possum, holding it by the tail while it paws at the ground trying to get away. This is Morris’ only documentary shot mostly outdoors, capturing subjects in various environments, and it’s frequently gorgeous, right from the opening sequence of an exterminator driving down residential streets spewing a giant cloud of pesticide. Still, no one could have been prepared for the formal magnificence of Morris’ breakthrough film, The Thin Blue Line, which combined Gates Of Heaven’s sit-down portraiture with Vernon, Florida’s visual splendor. This, too, was a project that took an unexpected turn: Morris had intended to make a film about James Grigson, a forensic psychiatrist in Texas who testified for the state and invariably proclaimed the defendant to be a sociopath who would kill again if not executed. While researching Grigson, however, Morris happened upon Randall Dale Adams, a death-row inmate convicted of killing a police officer during a routine traffic stop. Adams insisted that he was innocent, and Morris came to believe him; The Thin Blue Line makes Adams’ case via a mesmerizing, almost hypnotic reconstruction of the events (accompanied by a typically stirring Philip Glass score), juxtaposed with interviews in which cops, lawyers, and witnesses more or less hang themselves with their own words. Its Jinx-inspiring reenactments probably cost it an Oscar nomination—at the time, other documentarians were troubled by the inclusion of so much fiction, though it’s commonplace today. 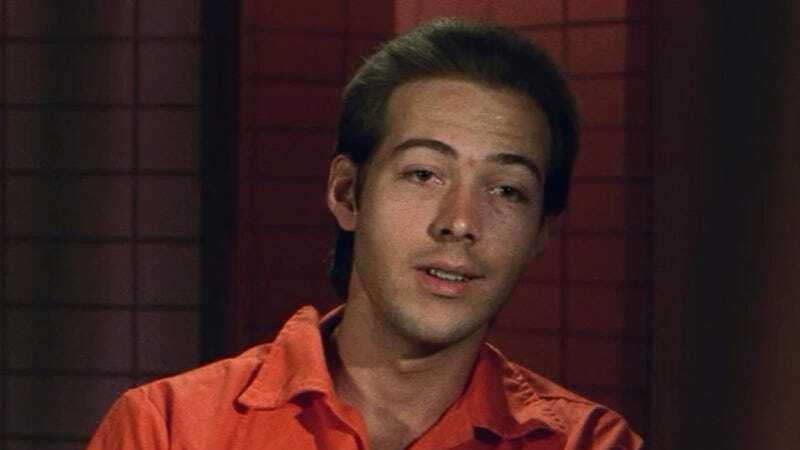 But Morris, like Jarecki, managed to record a near-confession (in this case, from the person who in all likelihood really committed the murder), which led to Adams being freed from prison a year after the film’s release. The effect that The Thin Blue Line would have on the doc world was almost as liberating. If you want to know how creative non-fiction exploded, this is where to start. Gates Of Heaven; Vernon, Florida; and The Thin Blue Line are available on Blu-ray from Criterion.